The Jennings Family: 11 months!! Can it be true??? Is my sweet baby boy really 11 months old?!? I can't believe it!! You are such an amazing little blessing to us, Archer! We can't imagine life without you! So what all are you up to these days... Well you just went up to a size 4 diaper. You LOVE fruit! You can crawl faster than anyone i know! In fact your knees are rough from all the crawling. You LOVE your big sister and big brother! You want to be near them ALL the time! They love you, too!! So happy and relaxed. You are such a good baby! You love bath time and are the easiest to go to bed. 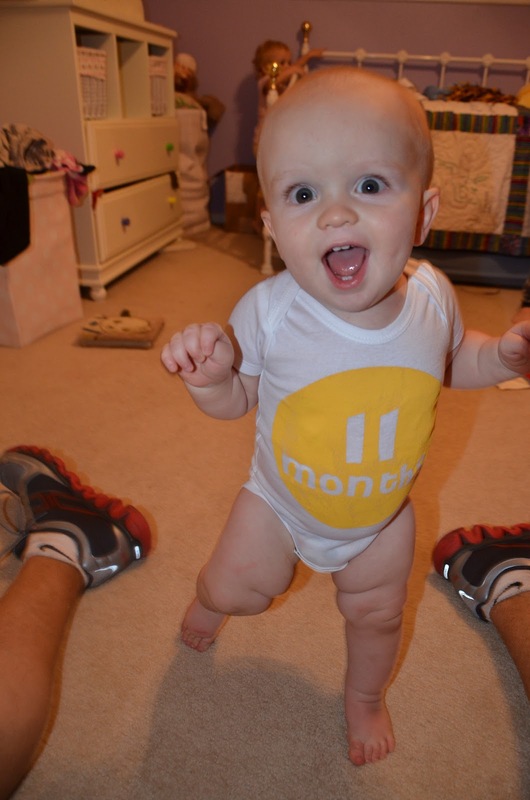 Oh and you started walking just a few days before you turned 11 months! I tried to gently push you down, but there was no stopping you. You are a walker!!! Archer, we love you so so much! I can't tell you just how much of a blessing you are!!! We love you!! Insta-Friday 1st week of August!